If you feel that your home in Newcastle, Delaware, could benefit from cleaner air and water, the premium systems from RainSoft may be just what you need. 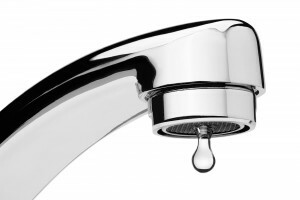 While municipal water is required by the Environmental Protection Agency (EPA) to meet certain standards, contaminants can and do still make their way into your water supply as it travels from the water treatment plant to your home. What’s more, if you depend on well water, all kinds of possible impurities can make their way into the water you use every day. When it comes to air quality, the EPA estimates that indoor air can be anywhere from 4 to 40 times as dirty as outdoor air. To combat these problems, RainSoft offers a diverse array of home air and water treatment products designed to address virtually any issues with your home’s water and air quality. When you first call us, we’ll schedule a consultation with one of our technicians, who will test your home’s water. After the test is complete, our technician will explain the results to you in detail, and if any impurities are found, will use his or her in-depth knowledge of our products to recommend the best product, or combination of products, to provide an effective solution. When you purchase any of these cutting-edge systems from your local authorized RainSoft dealer, we’ll ensure that you receive attentive customer service and support even after your installation. What’s more, since it is our firm belief that your RainSoft system should be the last you ever need, all of our products are protected by a comprehensive Limited Lifetime Warranty. To learn more about the home water and air treatment solutions we have available in New Castle, DE, or to schedule your complimentary in-home water test, please contact your local authorized RainSoft dealer today.